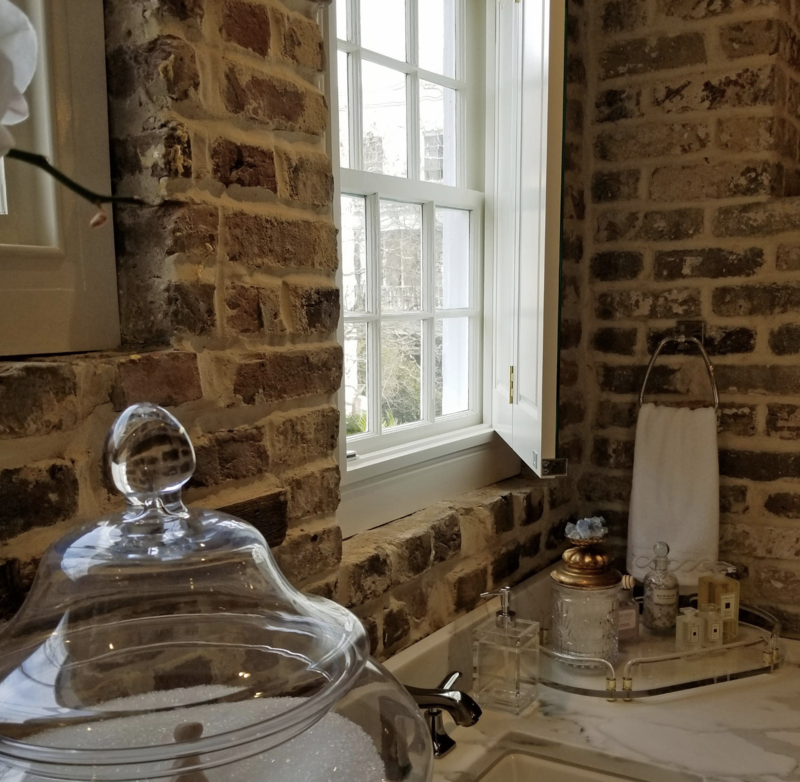 Heidi Huddleston dazzles and overcomes challenges in this master bathroom and kitchen renovation featuring Plain & Fancy Custom Cabinetry. Heidi Huddleston isn’t afraid of a challenge, and with over 25 years of experience as a Kitchen Designer, why would she be? Heidi owns Delicious Kitchens & Interiors based in Charleston, SC and proudly sells Plain & Fancy Custom Cabinetry. 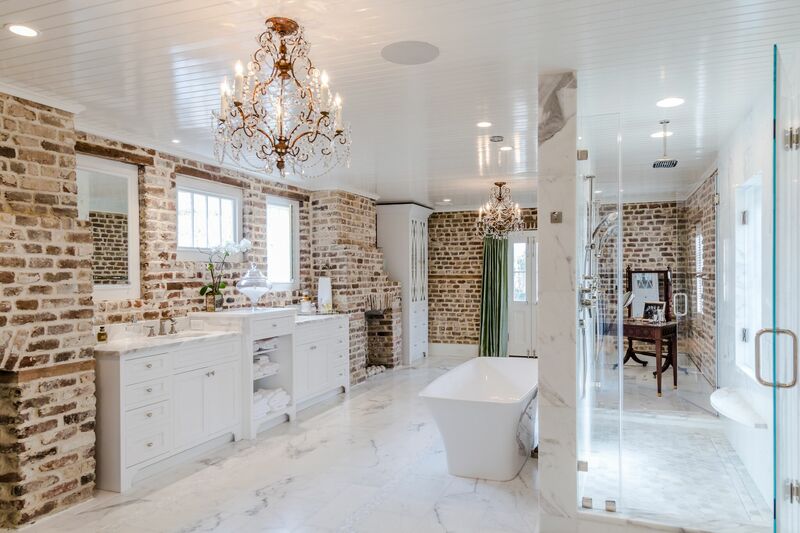 This past year, she was the Grand Prize winner in Plain & Fancy’s Dream Design Contest of 2017 for her gorgeous, master bathroom in a historic Charleston, SC home. The home was originally built in 1794 and is a part of the Historical Foundation in Charleston. This meant that all of the original and historical features of the home, including the windows, needed to be preserved in the renovation. Heidi originally met the owners through her work with Symphony Orchestra and previous work with historical homes. His and Hers cabinet storage and sinks. Preserving a house that's over 200 years old is no small feat, especially when it's original layout didn't intend for a master bathroom. 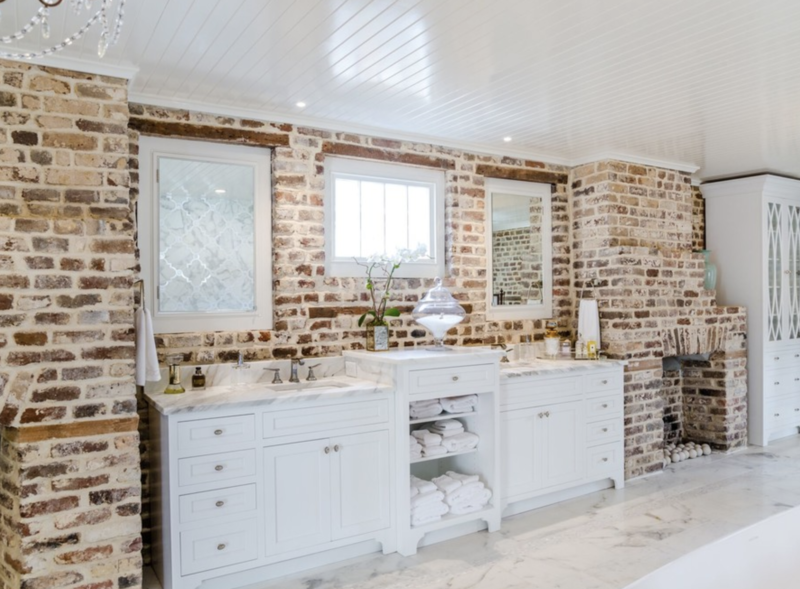 To get around this, Heidi utilized two small bedrooms and an unused bathroom to create the spacious and airy bathroom we see above. Closests covered the windows and both fireplaces were concealed by walls prior to the renovation. BEFORE : There was a lot to be uncovered in this charming home. This Charleston Charmer features Plain & Fancy Custom Cabinetry in Vogue with a Flush Inset and a White finish with standard sheen. The tub fills from the celing and a heated marble floor adds luxury. With a dual shower big enough for two people and two working gas fireplaces, this spacious retreat is a lifetime addition to an already historical piece of architecture. The biggest challenge for Heidi was preserving all that window space in a room that is otherwise meant for privacy. To get around this, Heidi installed the most unique element of the bathroom. Mirrors attached to functional shutters over the windows, allowing natural light in at the users discretion. The biggest challenge but a most magnificent addition.